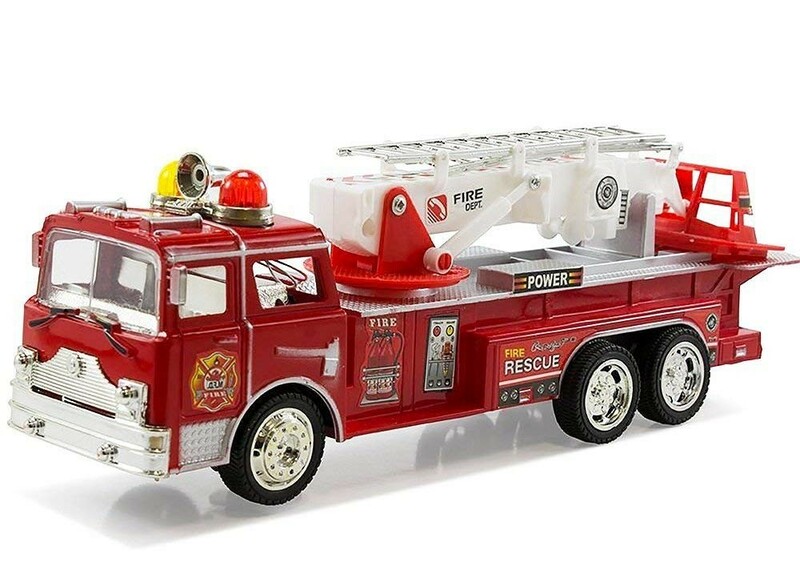 Master Box Dimension : 21" X 14" X 20"
Bump and go rescue fire truck with flashing led lights and realistic fire truck sounds. Truck comes with a retractable ladder on top that can turn 360 degrees. Watch as the fire truck drives itself and turn whenever it runs into an obstacle.